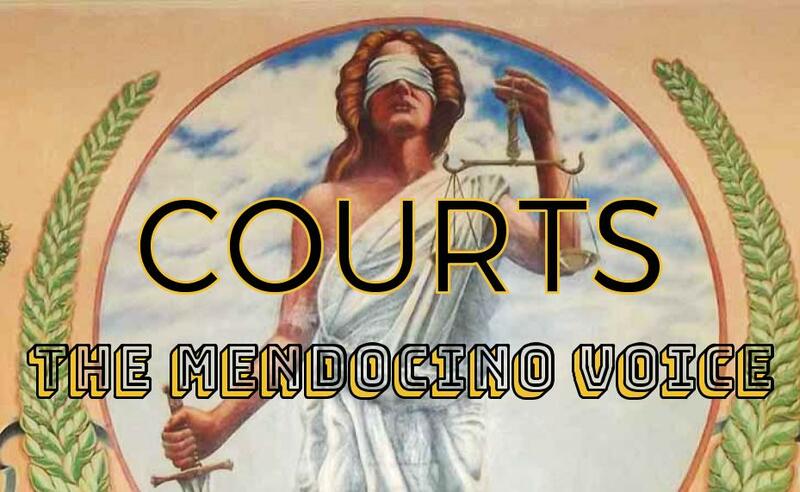 MENDOCINO CO., 10/1/18 — Three defendants who were to go on trial for the homicide and robbery of Laytonville cannabis farmer Jeffrey Settler, this morning, instead plead guilty to reduced charges, in what may be the one of the first court proceedings affected by Senate Bill 1437, which Governor Brown signed into law on Sunday evening. Michael Kane plead guilty to voluntary manslaughter and first degree robbery and Jesse Wells and Frederick Gaestel both accepted charges for robbery of a residence in concert with others as part of the plea deals, which came in response to the legislation’s approval. Only one of the original seven defendants charged with Settler’s death, Gary Blank, remains in jail awaiting trial. The new legislation changes how felony murder charges can be applied to accomplices, and the trial was delayed several times due to the pending legislation. Jury selection had been set for today, but instead, this morning in court the three took the plea deals offered by Mendocino County District Attorney David Eyster. During today’s proceedings in Superior Court Judge John Behnke’s courtroom, three defendants set to go on trial instead plead guilty after accepting new offers from the D.A. in response to the legislation’s approval. The three defendants were previously charged with homicide and armed robbery of over 100 pounds of cannabis related to the brutal killing of Settler, a 35 year old man, on his Laytonville cannabis farm on November 11, 2016. Another four defendants were also initially charged with the killing and robbery: three accepted plea deals for armed robbery over a year ago, and one, Gary Blank, is still in jail awaiting a trial. Kane pled to voluntary manslaughter with personal use of a deadly weapon and first degree robbery, and will be sentenced to up to 14 years. Both Gaestel and Wells plead guilty to robbery in concert, and may face up to three years in state prison. All three will have the previous charges dropped at sentencing. All three are also eligible to receive up to 15% credit for the time they have already spent in the Mendocino County Jail, as the court proceedings have stretched over nearly two years. The three defendants appeared in court this morning wearing button up shirts and slacks instead of the orange and striped jail jumpsuits they have worn on previous occasions. Kane’s parents were also present in the courtroom, as they have been at a number of previous court appearances, including the preliminary hearing. Blank’s attorney, Al Kubanis, was also in attendance hoping to clarify the timing of his client’s next appearance. Jury selection had been planned for the morning, and was expected to take several days due to the national publicity about the case and number of north county residents with knowledge of the investigation. Instead, several hours were occupied with conferences in judge’s chambers concerning the new legislation, then conferences between the defense attorneys and their clients concerning the new deals offered by the D.A. The trial of Gary Blank, the last remaining defendant, had been scheduled to follow the trials for Kane, Wells, and Gaestel, and the exact timing of his upcoming appearances is now unclear. It remains to be seen whether his charges will also be affected by the passage of SB 1473. The law does not go into effect until January 1, after which defendants who may have been charged under previous murder cases can file to be re-sentenced. In the case of Settler’s killing, seven suspects were charged with some involvement, and each retained a separate attorney and made different allegations as to what happened during his killing. According to testimony given by law enforcement officers during the preliminary hearing, some of the suspects accused others of being directly involved in the killing, while others claimed to have been only tangentially aware of both the homicide and robbery. Several of the suspects worked on Settler’s cannabis farm, and told law enforcement that they intended to retrieve items left behind, and get paid for their work, or take a comparable amount of Settler’s cannabis. The prosecution also alleged that a hatchet, along with several other weapons, were used in the attack on Settler. Gaestel was the only suspect charged who claims not to have been at the scene at the time of Settler’s death, but acknowledged to law enforcement he had lent his vehicle to another suspect, Zachary Wuester, and there was some testimony that he allegedly furnished the hatchet that was used to kill Settler. According to testimony at the preliminary hearing, Kane admitted to being at the farm, and Wells told investigators he had driven to Settler’s farm but remained at the gate. Blank acknowledged going to the cannabis farm and to stabbing Settler. As part of submitting a guilty plea to accept the deals, each defendant had to agree to the factual basis of their plea agreements in court. In Kane’s case, he plead guilty to voluntary manslaughter, for which he can be sentenced to up to 11 years; first degree robbery of a residence, of which two years would be served consecutive with the manslaughter charge; and an additional one year for acknowledging using a hatchet to strike and kill Settler. Kane, represented by Ethan Balogh, pled guilty to having struck Settler in the head with the hatchet after Settler attacked Gary Blank, in order to defend Blank. 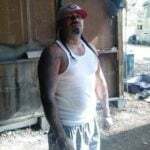 Kane also plead guilty to having retrieved a gate key from his place of residence on Branscomb Road in Laytonville in order to open a gate leading to Settler’s cannabis farm to facilitate the robbery of over 100 pounds of Settler’s cannabis. Wearing a maroon shirt and black pants, Kane, answered each question from the judge with a flat-toned yes, without elaboration. Both Wells and Gaestel accepted plea deals in exchange for sentences of three years for robbery of a residence in concert with others, represented by Jan Cole-Wilson and tk Boyd, respectively. Gaestel, who wore a black shirt and black pants, asked whether he would be able to transfer his parole to another state after he served his time, but was told that that decision would be made by a different agency, after his release. Wells, who did not work for Settler and who was subdued while contemplating and accepting the deal, wore a grey sweater and blue shirt. As part of his plea, he acknowledged driving Kane to Settler’s property and in doing so assisting with a robbery. During the previous week’s court proceeding, concerning which photographs related to the killing were too “gruesome” to show the jury, Wells repeatedly looked down to avoid seeing photographs of Settler’s body, while Gaestel and Kane both appeared engaged in the deliberation. The three defendants in today’s proceedings will appear in court on Oct. 26 and Nov. 2 for sentencing. All are forbidden from possessing firearms, and the plea agreements are considered a strike, which means all will faced significantly increased sentences if they commit future offenses. During the preliminary hearing and subsequent court proceedings, both the prosecution and the defense stressed the need for setting trial dates to ensure that the multitude of far-flung witnesses, as well as Settler’s family, could be in attendance. Although now that they have accepted plea deals, the judge has selected the dates at the request of Eyster, who noted that Settler’s family, who had planned to fly from Texas to attend the trial, would likely want to attend the sentencing of the defendants as well. Blank’s case was separated from the other three defendants, but when he will be tried or whether he will be offered a different deal remains to be seen. In August 2017, three of the defendants, Zachary Wuester, Gary Fitzgerald, and Abdirahman Said Mohamed, accepted plea deals for armed robbery in exchange for their future testimony against the other suspects. If their testimony is not required for a trial, they will be scheduled to face judgement and sentencing as will the other defendants. Here’s our complete coverage of Settler’s homicide investigation and legal proceedings. The middle of the night seems unlikely time to retirive your items.